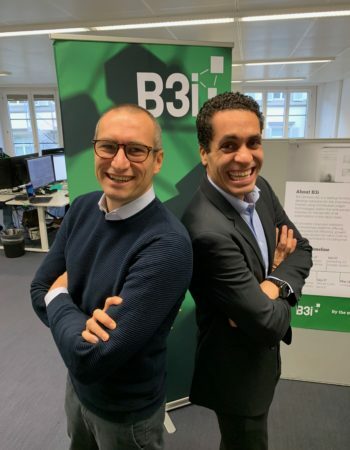 For this week’s episode, we had the opportunity to speak to Antonio Di Marzo, Product Owner – Commercial Insurance at B3i, at the B3i headquarters in Zurich. 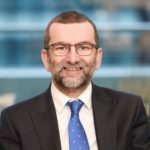 Antonio provides an excellent insight into B3i’s upcoming project – commercial insurance on the blockchain which was announced in September this year at the ‘Rendez-Vous de Septembre’. If you haven’t listened to the earlier News Flash episode regarding this announcement, now is a good time to do so! Prior to his current role at B3i, Antonio spent over ten years at Generali Global Corporate and Commercial. During his time at Generali, he was involved in building a global platform and he feels deploying this platform across various countries was the biggest challenge he faced. 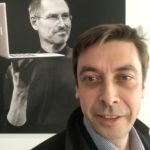 Antonio brings this experience of leading digital transformation and dealing with different cultures to B3i. Antonio believes there is no set definition for blockchain because the technology is evolving rapidly. He compares blockchain today to the internet in the 1990’s – there is lack of clarity regarding a definition but there is a clear indication that the technology has the potential to increase customer satisfaction, increase industry profitability and increase insurance penetration. Antonio recognizes that insurance provides peace of mind, encourages constructive risk-taking and provides a cushion for the bad times. Furthermore, he believes blockchain can help increase insurance penetration. This sentiment is shared by many others at B3i – Philipp Tölle, Co-Architect at B3i, was recently interviewed and he spoke along similar lines. Antonio stresses that prior to the advent of blockchain, participants in the insurance industry were working in silos.The breakthrough that blockchain has provided is a shift in the industry mindset towards working in ecosystems. Following a question about Lloyds offering a (physical) insurance ecosystem, Antonio clarified his earlier statement about blockchain enabling ecosystems in the insurance industry. Although he acknowledges that Lloyds has spread to various countries and it serves as an excellent model since all competitors behave in a similar way, he asserts that B3i wishes to build several ecosystems that are interconnected and allow easy integration of new ecosystems. Antonio explains that that the founding members of B3i recognized that they all wanted to seriously explore what blockchain was capable of – hence, it was natural to join forces. 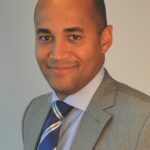 Even though each founding member was capable of exploring blockchain individually, there was an understanding that an optimal outcome would only be achieved through cooperation – this notion is shared by Jags Rao, Blockchain Workstream Lead at Swiss Re, who was interviewed in the previous episode. 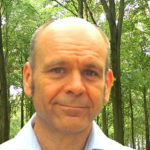 B3i began as a consortium and built its proof of concept (POC) on IBM Hyperledger Fabric. The POC involved over 100 nodes and thousands of insurance contracts. This POC convinced the initial members to look at blockchain seriously as evidence suggested that blockchain will be an enabler. Antonio explains that parents recognize the importance of coaching, education and support to enable their child to achieve their potential. Similarly, the initial members of B3i were convinced that to unlock the true potential of blockchain, B3i would have to be incorporated as a separate legal entity with proper funding. Competitors would have to set aside differences and work together to ensure the best outcome. Antonio explains that reinsurance was an excellent starting point for B3i while exploring blockchain. The reinsurance market is characterized by large premiums and few transactions – once again, using an analogue to a child, he explains parents first coach children to walk and only then train them for a marathon! On 1stJanuary 2019, ‘Codex 1’ (the B3i Property CAT XoL product) will go live along with the B3i platform. The platform is a business network to connect cedants, brokers and reinsurers. As Antonio explains, this project will lay down the general infrastructure (analogous to roads, railways etc. in the physical world) needed to let participants communicate in a common language and interact with the (property CAT XoL) product. According to Antonio, B3i is now able to explore a new product (commercial insurance) since it can duplicate the code and underlying infrastructure i.e. a significant portion of the work has already been done in the past. Antonio explains that there is contract uncertainty in the commercial insurance industry which arises due to high latency and friction resulting from manual processes. B3i aims to provide an environment for all market participants to be integrated. The first step in integration is to allow all parties to speak a common language. Antonio clarifies that although the problems may be similar, the same solution cannot be applied. However, a solution can be modified according to specific requirements. Antonio compares the work B3i is doing today to the work that was done in the shipping industry in the 1950’s – promotion of integration, standardization and automation. Antonio points out that the insurance industry already has excellent standards; B3i follows the ACORD standards. Furthermore, B3i wants to make sure the infrastructure it develops is available to everyone. B3i has already expressed willingness to allow 3rdparties to develop solutions on top of their platform. 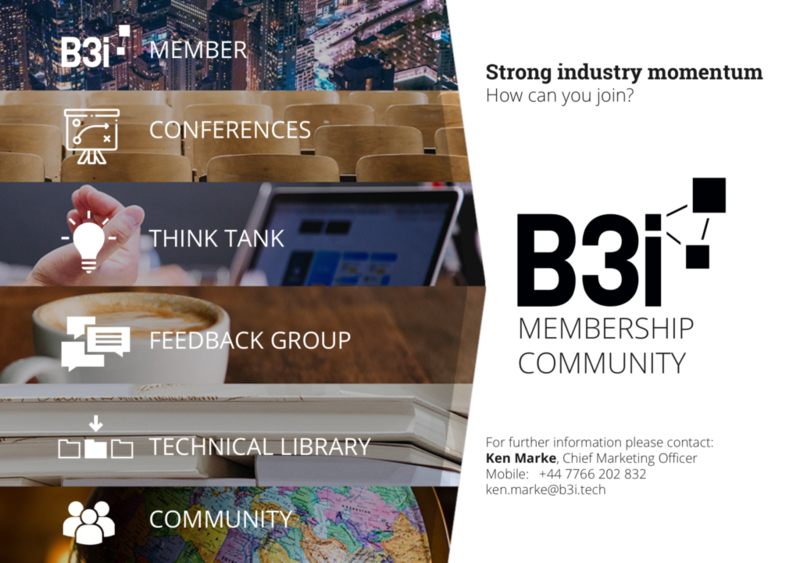 The recent launch of the B3i membership community opens the door for non-shareholders to work alongside B3i and its members. 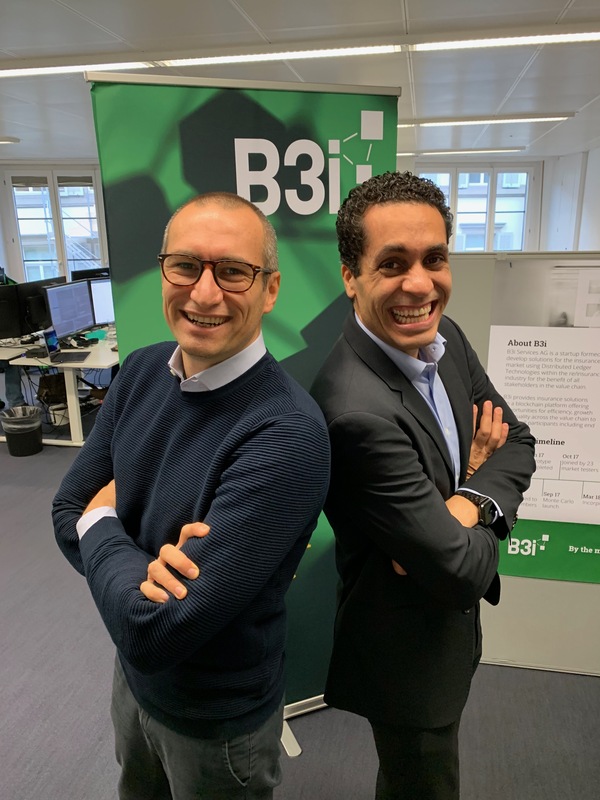 When asked about how B3i intends to test its market hypothesis, Antonio replied by drawing attention to a series of workshops that B3i will be organizing – the pilot workshop took place in Zurich and Insureblocks was a part of the same! These workshops have a dual purpose – to permit discussions regarding the common issues faced by market participants and to arrive at a consensus regarding which issues are to be prioritized. Antonio stresses that the goal of B3i is to create Minimum Loveable Products to drive adoption across the board in the industry. Antonio states that the perception that B3i is a European organization is incorrect – he supports this statement by pointing out that the participants at the B3i workshop – Zurich Insurance Group, Allianz, Liberty Mutual are global organisations. However, Antonio recognizes that commercial insurance, though global in nature, is strongly influenced by local factors. Some excellent examples of local initiatives are the Italian commercial insurance initiative (which we covered in a previous episode) and the Spanish co-insurance initiative. Antonio believes that B3i will be an enabler for local initiatives. A reality check: standardisation and integration in an industry that hasn’t embraced digitalisation? Antonio was asked an extremely difficult and topical question – how can B3i achieve its goals of standardization and integration in the insurance industry when the industry is yet to embrace digitalization? Antonio now connects all the dots together – he explains that the popularity of PDF is because of the comfort we (as humans) have with its format. Furthermore, he highlights that the major limitation PDF faces as a format for data exchange is its inability to facilitate interactions between value chain participants. 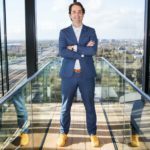 Antonio stresses that blockchain has one key feature which makes it ideal for information exchange – trust. Blockchain guarantees that there is a single version of the truth that is visible to parties. Blockchain eliminates the duplication of manual work. Antonio believes that the first step to integration is to provide the infrastructure to facilitate communication and value exchange. Once such infrastructure is in place, a common language can be introduced (standardization) and the adoption will follow naturally. According to Antonio, B3i will approach the commercial insurance project using an agile plan. The project kick-off around the end of January 2019 and the plan is to release the Minimum Loveable Product by the end of 2019. The product launch will be on a global scale and B3i is in the process of shortlisting two geographies for the initial product launch. Antonio has provided some excellent insight into the motivations behind the commercial insurance project planned by B3i. If you liked this episode, please do review it on iTunes – your reviews make a huge difference. If you have any comments or suggestions on how we could improve, please don’t hesitate to add a comment below. If you’d like to ask Antonio a question, feel free to add a comment below and we’ll get him over to our site to answer your questions.